This month’s theme is Existential Change - trigger events and moments in our lives that prompt us to consider: What is the meaning of my life? How do I find my purpose? Who have I or could I become, as a result of external / internal changes? What’s changing in your life right now? It doesn’t have to be a major change to ‘count’. 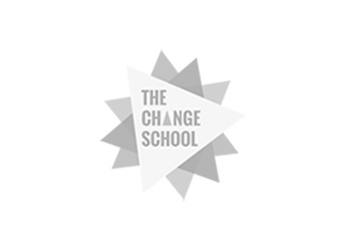 Have a look at our Change Cycle to pin point where you are now and consider how this current life stage has impacted your sense of self, purpose or meaning. We all experience change at different points in our lives - whether it is about moving into a new life stage or adapting to situations that are out of our control. These situations force us to re-assess our priorities and reconnect with our values in order to stay grounded amidst the winds of change. Major life transitions - starting a new job/career, moving to a new city, becoming a parent, retirement - often bring up mixed feelings by calling into question our identity (Who am I? ), values (What’s most important to me? ), and our life choices (Is this what I really want?). These situations can feel frustrating and disorienting at first, but being in transition is also an opportunity for growth. And when it comes to personal development and transformation, you are always in the driver’s seat. To change is to grow, and to grow is to evolve into better versions of ourselves. When we find ourselves at an existential crossroads, it is an invitation to embrace change and step up to the plate. The question becomes: What areas of myself need to change in order to thrive in my new role? Are there areas of your life that you’ve been neglecting? What new habits can you start to practice to start addressing those areas? How can you change your attitude or perspective about the challenges of change and focus instead on the opportunities to grow? The best way to navigate through major transitions is to take some time for self-reflection. 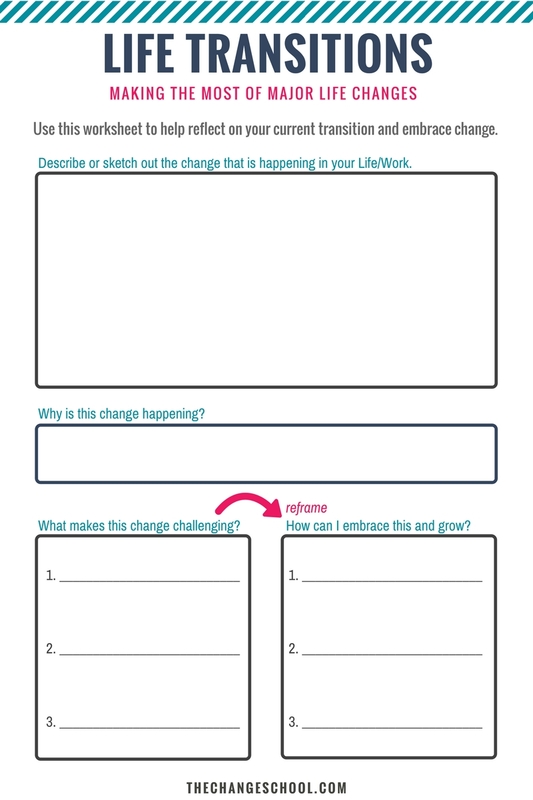 Download our FREE Life Transitions Worksheet the following worksheet to help you to embrace change and learn thrive in transition.